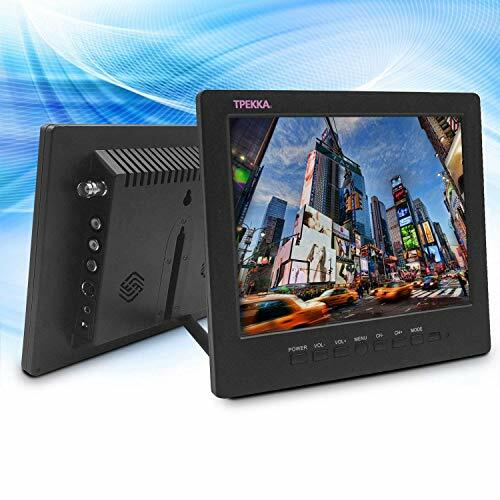 ✔Portable Size: 8 inch TFT LCD Color monitor, 800x600 high definition, presenting clear, exquisite image. ✔Wide Application: For CCTV monitor system, computer PC monitor, rear view camera monitor,it also suitable for outdoor use, or for Raspberry Pi 3. ✔Wide View Angle: 130° (H) x 115° (V), quite a wide view angle as an 8 inch monitor. Fulfilling your needs in viewing.